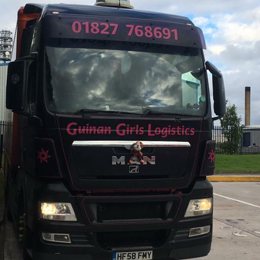 Transport & Logistics Guinan Girls Logistics. 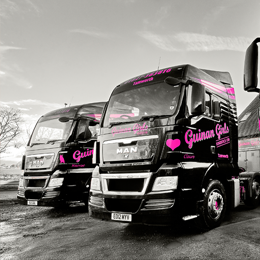 24/7 throughout the United Kingdom. 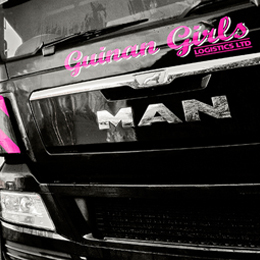 Guinan Girl’s Logistics is a family run company established in April 2006. The unusual name is taken from our surname and the fact that we have five daughters. 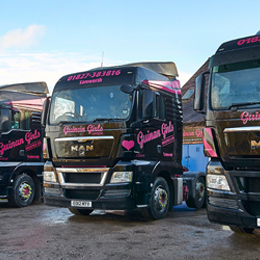 This has put us in good stead for managing any problems that may come our way! 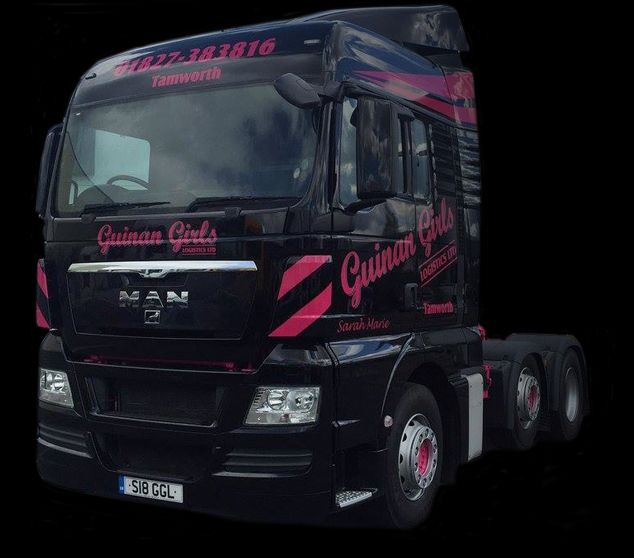 We decided to set up on our own after many years working in the haulage industry, both as a driver and as a training manager. 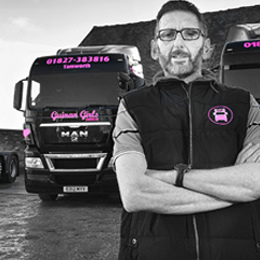 We have seen the industry from both sides and feel this helps us understand the needs of our customers, whilst ensuring a good relationship with our employees. 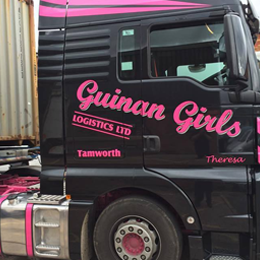 We carry foodstuffs, electronics, parcels and bulk waste products. 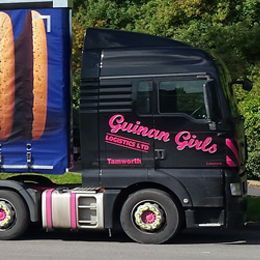 We also have drivers with experience of roping.